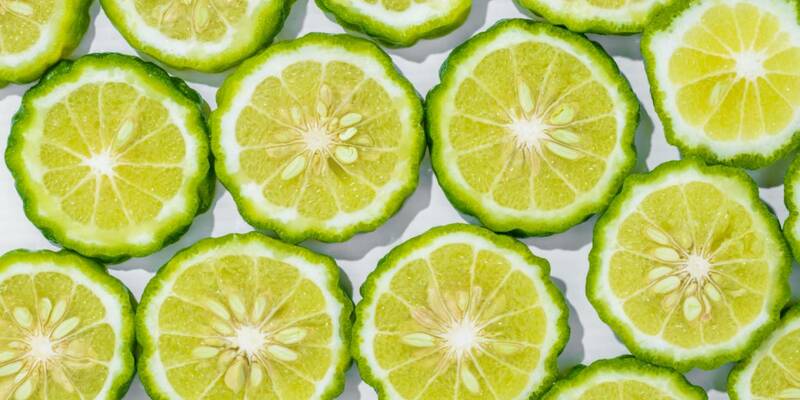 Bergamot (Citrus bergamia) is a small, aromatic and inedible fruit which is a cross between Citrus limetta (also known as sweet lemon or sweet lime) and orange. It belongs to the family of citrus known as the Rutaceae family. The fruit has a rich and varied history with its origins tracing back to Italy in the 1750s and is more commonly known for its associations with Earl Grey Tea. Calabria in Southern Italy is the world’s largest cultivator of bergamot, making up at least 80% of the world’s total production of bergamot oil, which is said to be of the highest quality. The fruit can also be found in South East Asia, South of France and Africa’s Ivory Coast. The oil is derived from the cold expression of the volatile oil glands found in the peel of the fruit. The oil is reminiscent of orange yet is more complex with floral notes. Bergamot essential oil was originally used in Ayurvedic medicine, owing to its medicinal properties to aid digestion and treat skin ailments. The ingredient can often be found in cosmetics, skincare and odorous applications such as perfumes, aromatherapy, shower gels, candles and moisturizers. It can also be used in household applications for its uplifting scent and anti-microbial properties. Bergamots popularity has steadily grown and is now used as a key flavour in everything from sodas to gins. The ingredient works well in applications such as tea-based beverages, cocktails, jams, chocolate, yogurts, syrups, salad dressings and ice creams, pairing well with other citrus fruits, such as orange and lemon as well as herbs and spices. Our portfolio includes 100% natural citrus oils that range from single folds to terpeneless solutions, including a series of folds in between. Commercial blends are also available, either readymade, or tailored to a customer's specification. Email enquiries@treatt.com to find out more.